Happy Thursday everyone!! Today is a great day because I not only have one of my favorite outfits to show y'all but I have an amazing giveaway, and I was selected to co-host All Things Thursday Link-Up Party!! First things first is today's outfit, again with my pencil skirt that y'all know that I love, but how pretty is this top from PB&J Boutique?! I totally love it, I have a lot of denim tops but not an acid wash one, and I love it! Its one of my new favorite tops! And PB&J Boutique is seriously one of my new favorite boutiques, they have the cutest things, and I literally could wear everything. Y'all need to check it out! I paired it with some black accessories, like my new necklace and fave new booties from Target. Like I said, today I have a great giveaway!! I posted it earlier, because this post would be ridiculously long if I didn't! 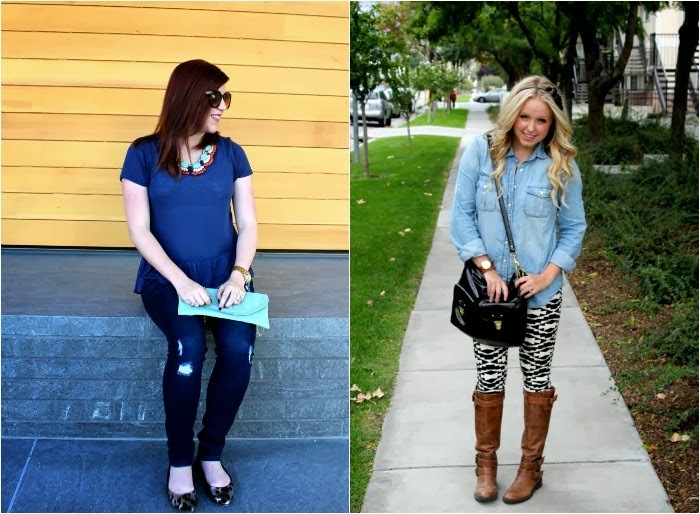 So go enter to win a $125 Zara gift card HERE!! Don't forget to link-up for all Things Thursday!! :) Thanks for reading everyone! Welcome to ALL THINGS THURSDAY LINK PARTY!! We are just having so much fun with this, and we hope you are too! We are loving all of your posts and have such a hard time choosing who to feature. We wanted to remind you about something new we added to the link party- When you are featured, you will have the opportunity to co-host the link party with us. Those who link up will also be required to follow the co-hosts. This gives you even more reason to link up! We are excited to see what you have in store for us this week! Thanks for linking up!! We're drooling over this simple, effortless and chic look from Ashlyn. We love how she styled her accessories and her Philip Lim bag. So gorgeous! We love the unique and edgy print on Lily's shirt and the contrasting white cuffs. There's even something fun hidden in the print! Check out the other pics on her blog to find it! The Phillip Lim bag adds the perfect finishing touch! Love the acid wash and those booties! Just started following, follow back if you'd like! Love your top! 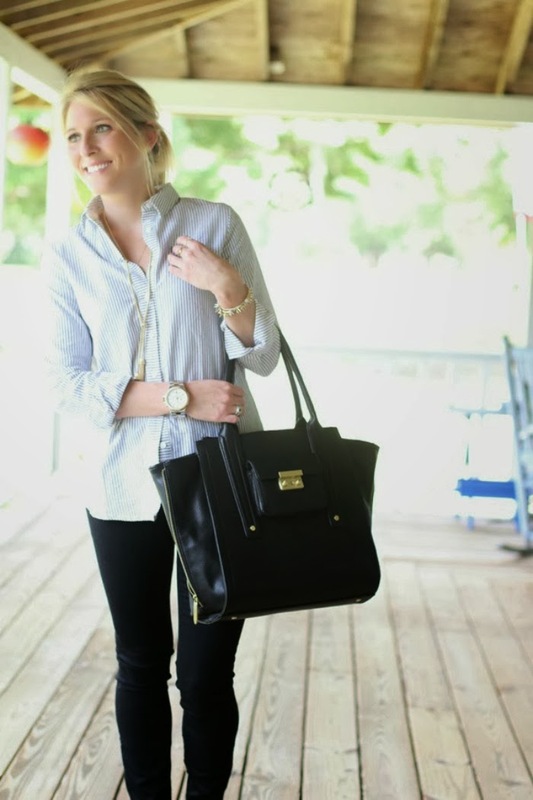 It's such a different take on the chambray shirt!